By now, we should expect a high level of excellence in everything Porsche sets out to do. It is a given that a 911, Boxster and Cayman are great sports cars in their own right. However, we would be equally bowed over by the Cayenne and the Panamera. 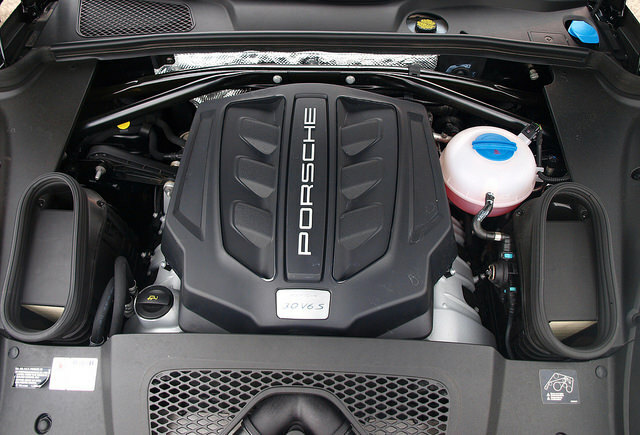 While they are different than what they are traditionally supposed to build, Porsche has no qualms integrating as much of its DNA onto these two different kinds of automobiles. With the new Macan, we should expect the same then. Named after an Indonesian tiger, the Macan is Porsche’s entry into the hotly contested premium compact crossover/SUV segment. It is up against some heavy hitters, such as the Range Rover Evoque, BMW X3 and Audi Q5. This is also a segment where consumers have chosen the Mercedes-Benz GLK, Volvo XC60, Acura RDX – to name a few. Why would Porsche enter into this segment? Should they be building another sports car instead? The answer is simple: Because Porsche has to ensure that its DNA is properly fused onto any new product. The answer begins by simply looking at it. The Macan’s exterior has a lot of the 911’s current design language forged onto this small crossover. Up front, the nose is split between the 911-influence hood and a deep front grille and clip. The hood itself is a work of art, opening up with holes for the headlamps. It also has the best engine access of any front-engined Porsche around. The sides reveal a rakish look – less upright than the Cayenne. The rear end has the 911 written all over it – the taillights seem to be direct from the vaunted sports car. Still, the lower half of the Macan reminds us it is indeed a crossover – which is truly not a bad thing. Step inside, and you are truly shown the Porsche experience. A three-dial instrument cluster has the tachometer in the middle, the speedometer to the left and a TFT screen to the right for vehicle and trip information. The center stack starts with a sizeable screen for its infotainment system, cascading to a series of button for the screen, climate control and drive control buttons. In the middle, is the gear selector for the PDK transmission. Everything you touch is superb and tactile. Not to mention, rather easy to understand and operation. Front seats are on the firm side, but wide at the cushion. You can get a good seating position behind the new three-spoke wheel – which is smaller than any standard Porsche steering wheel. Rear seat room is quite tight, spite having great headroom. Four average adults might make the Macan’s cabin work. The model driven was the S model, which denotes the 3.0liter turbocharged V6 under the hood. This engine has 340 horsepower and 339 pound-feet of torque. When you step on the accelerator, the turbo comes on immediately with ease. The PDK shifts quick and smooth. It is also a smart transmission, giving you the right ratio to be in at a certain speed and situation. It is not fool proof, however – sometimes locking in a lower gear for a higher speed on the highway, for example. Though you can control these shifts through the paddles on the steering column or through the shifter on the console. The Macan is available only in all-wheel drive. While it is a crossover, there are some things that might not translate into being a Porsche right away. Without pressing any dynamic buttons, you feel some roll and lean through the turns in the Macan. Though steering control is very good and braking is just fine. Once you put it into Sport mode, things sharpen up for the better – tiger-like, if you will. The suspension is gathered up to balance ride and handling, steering response is quick and exacting. Though not connected to the dynamic system, even the brakes feel much better for sharper stops. If you truly want a real Porsche experience, put the Macan in Sport Plus. It will not feel exactly like a 911 or Cayman, but you do get a firm suspension setting that tightens the body through the corners. 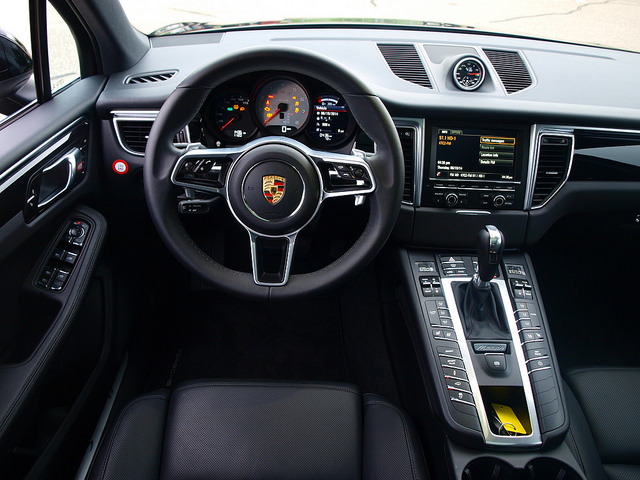 Perhaps it is suggested to stick to Sport, since the engine and the PDK transmission is at its happiest for great response, along with that balanced ride and handling mix. Starting price for the Macan S is $50,895. This tester was rung up at $69,210. You can get a more powerful Macan in the Turbo with 400 horsepower starting at $73,295. In this segment, it is best to be distinctive rather than something else. 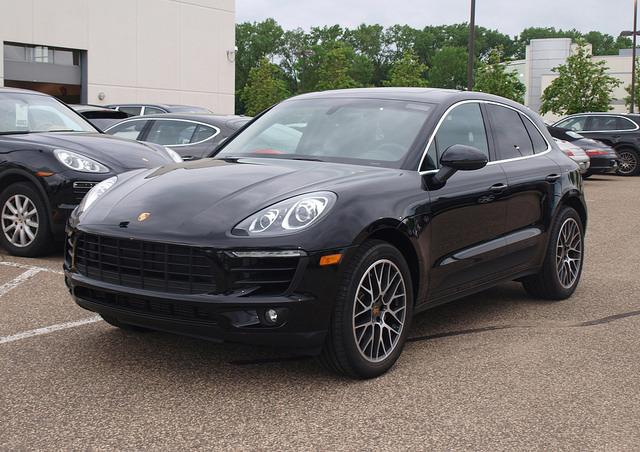 The Macan not only achieves its distinctiveness, it also brought more than enough Porsche DNA to this segment. Remember, this is not a 911 – rather a good companion to one. But, by itself – this is one tiger that needs not be tamed.